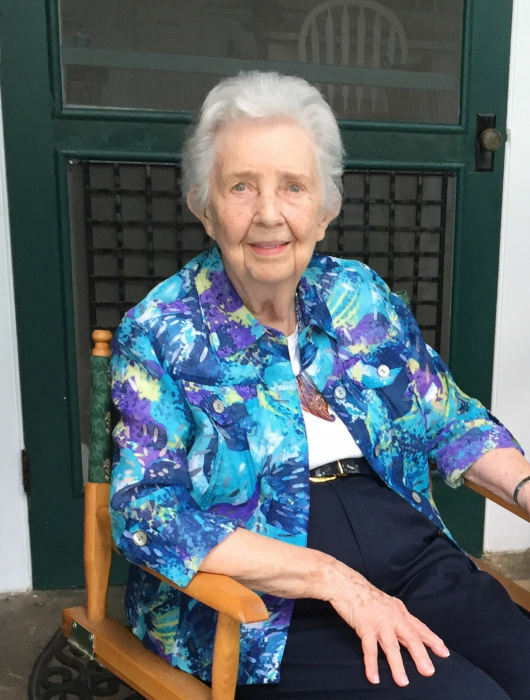 Evelyn Grace Diggs Hawkins, 92, died and was born to eternal life on Friday, January 4, 2019, surrounded by her family at Givens Estates in Asheville, NC. Born February 16, 1926, Evelyn was the daughter of the late James R. and Bessie Ussery Diggs of Cordova, NC. The youngest of 7 siblings, Evelyn graduated from Rockingham High School. She became an excellent executive secretary, working for four years before putting herself through college. At Pfeiffer Junior College in Misenheimer, NC, Evelyn worked as secretary to the Dean while studying toward her degree, and she earned a degree in Christian education from Scarritt College in Nashville, TN, again while working as secretary to the Dean. While at Pfeiffer, Evelyn met the love of her life, Thornton Hawkins, and they were married on September 2, 1951. That autumn, Thornton began his course of study at Duke Divinity School in Durham, NC, while Evelyn worked in the office of the Dean of the Divinity School. In the spring of 1954, they began their ministry in the Western North Carolina Conference of the United Methodist Church, serving in Polkville, Candler, Guilford College, Reidsville, Murphy, Charlotte, Midway, Salisbury and Hayesville. Evelyn typed every sermon that Thornton wrote through the years, helping to shape his message with astute notes in the margins. After retiring to Haywood County, NC, Evelyn volunteered for the Meals on Wheels program. Having personal experience with depression, she was a staunch advocate for others living with mental illness. In addition to Thornton, Evelyn is survived by two daughters and sons-in-law: Patrice Hawkins Sigmon and Allen Sigmon; and Catherine Hawkins Hoffman and Roger Hoffman. Her granddaughter, Lauren Patrice Sigmon, preceded Evelyn in death in 2007. Evelyn’s family is grateful for the love and care of the medical staff at Givens Estate and at Four Seasons Hospice, who helped ease her transition. A private service of committal was held. A celebration of Evelyn’s life for family and friends will be held at a later date at Givens Estates. In lieu of flowers, please consider celebrating Evelyn’s life with a charitable donation to the Lauren Sigmon Internship Fund at the Karen Beasley Sea Turtle Rescue and Rehabilitation Center, P.O. Box 2095, Surf City, NC 28445.